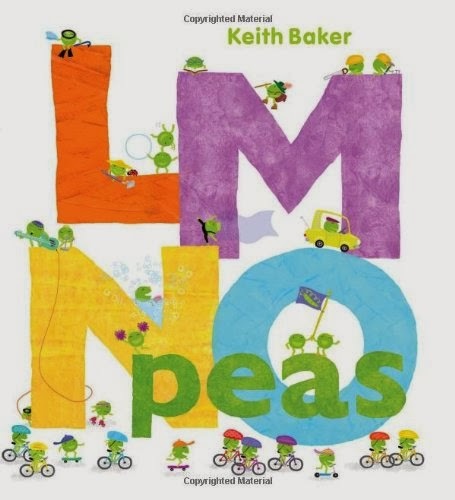 Just wanted to get up a quick post about an adorable ABC picture book, LMNO Peas, by Keith Baker. We checked this out at our local library last week, and I'm considering buying it because of the whimsical painted illustrations, clever and quick-paced rhymes and unconventional approach of using actions rather than things to demonstrate each letter sound. 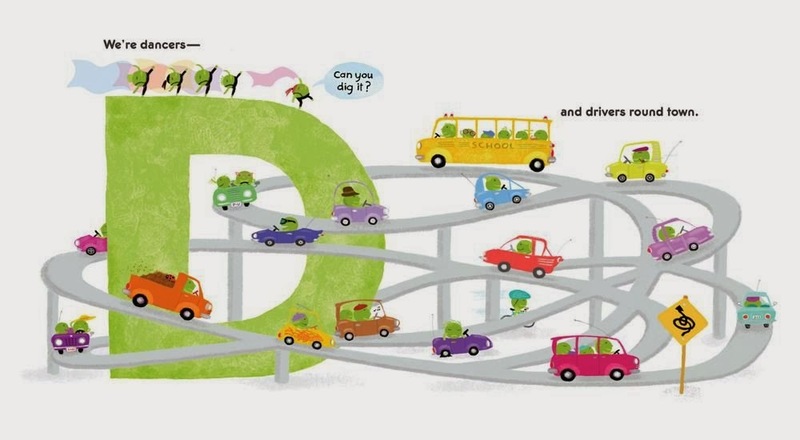 The peas in this book pursue many adventurous and interesting occupations, from underwater diving to zoology. I liked that many of the words promoted exploring and creating- two activities I hope to champion in my household! 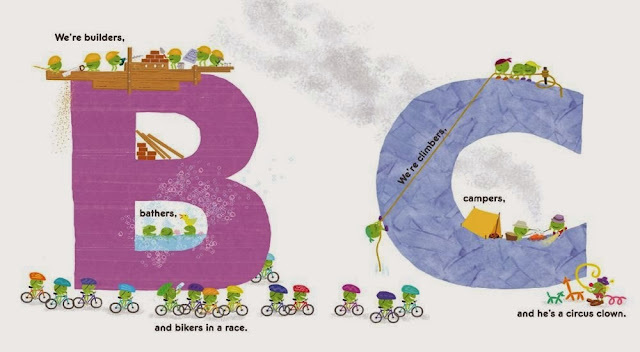 My five-year-old and my two-year-old both requested this book several times.